The No Prep King: Who Is This Mike Murillo Fella Anyway? Question Of The Week: Are State-Of-The-Art Racing Venues Necessary? They say you never truly forget your first love, and for veteran racer and renowned chassis builder Rick Jones, that classic line rings no more true. In October of 1978, a young and bright-eyed Jones — a mere senior in high school at the time — purchased an all-original 1969 Chevrolet Camaro, complete with a 375-horse 396 with a four-speed “because I wanted to race,” he shares. I’m the kind of person that always feels it’s time to move forward, to go forward all the time. So I said I’d just build something else. The Camaro went through a number of transformations under Jones with the help of his friends, progressing from leaf springs and slapper bars with an 8-point roll bar, to a narrowed 9-inch rearend with a two-by-three square tube backhalf to fit wider rear slicks — “we put some Cragar Super Tricks on it back in the day,” he adds with a laugh, in reference to the desirability of the wheels in days-gone-by. “I had a Muncie in there and then progressed to a Ford top-loader, and I’d break that thing all the time, and eventually went to a Doug Nash five-speed. I just kept working on it every year. We later took the front stub off and put a two-by-three all the way to the front, with a Corvair front suspension, because it had the same spindle as the first-generation Camaro, so the brakes and all would work. “It still had the steel front fenders on it — I didn’t have the money to buy a fiberglass front end at the time,” he continues. Interestingly, it was this Camaro — the one he spent his wilder days tinkering on and took his now-wife, Bonnie Jones, on dates in — that precipitated the founding of the Rick Jones Race Cars and Quarter-Max empire we know today. With a legitimate chassis shop at his disposal, Jones back-halved his Camaro, adding a new round-tube chassis with a four-link, coilover shocks, and the works, along with a fiberglass frontend and hood scoop up front and a fresh coat of paint. That was the last iteration it went through under his guidance … or so he thought. In a tale very reminiscent of the famous story of Papa John’s Pizza founder John Schnatter, who sold his prized second-gen Camaro to help found his business, Jones — in an effort to raise capital to turn his chassis business into a full-time endeavor — decided to sell the Camaro. The date was October 20, 1986 — a date he’s kept written down. Jones says that at the time, and in the many years that have followed in which he raised a son, built a fledgling business, and went racing at a far more professional level, he rarely second-guessed his decision to part with the car. “I’m the kind of person that always feels it’s time to move forward, to go forward all the time. 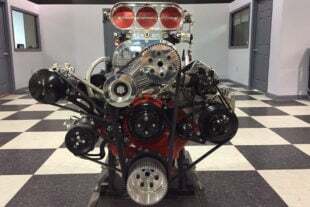 So I said I’d just build something else.” Jones was able to keep tabs on the car for a time — it was originally sold to fellow Cordova-area racer Randy Halley, who in 1987 and again in 1990 brought it to Jones for chassis work. Jones says he would “see it from time to time at a race, but never really even thought about it. One of my employees, Tony Quinn, he was on me for years that I should buy that thing back, but I was kinda’ over that phase of my life,” he says. I got to looking at the car, and it’s hard to explain, but I walked up to it and it was almost like your old dog or horse that you haven’t seen in a long time and they know who you are. Last summer, Jones said he began kicking around the idea of having a racecar of his own again. 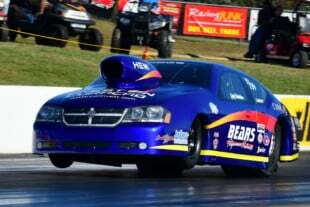 He had competed for years in IHRA Pro Stock, in NHRA Pro Stock Truck, campaigned and tuned a Pro Modified and Pro Stock entry for son Rickie, and has served as crew chief for two-time Pro Stock champion Erica Enders since 2014. But he hadn’t been behind the wheel since 2006, and he had the itch. Once Holly sold the car, Jones lost track of its specific whereabouts, only aware that it had been floating around Iowa … but he was soon to be reunited with an old flame. Rickie Jones trying out the seat of his father’s Camaro. The second-generation racer had not yet been born when Rick sold the Camaro in 1986. The Camaro before and after being stripped down to the bare shell for its revitalization. Haga negotiated the deal, and more than thirty years after he parted with it, Jones’ Camaro — the one that could be easily credited for his success in business — was back home, where he never really knew it belonged until now. What initially began with humble intentions, gradually became another extensive chapter in the life of this Camaro. Jones finally said “to hell with it,” continuing, “I was away one day and JJ sent me a picture and said ‘here you go’ — the entire chassis cut clean out of the car and laying in a pile on the floor. When shop time permits — often after-hours or on weekends — Jones and company put in work on the car, constructing a modern Pro Stock-style chassis under the original ’69 body, roof, and steel doors with all of the latest parts and pieces. Jones procured a 565-inch big-block and a Liberty five-speed with a McLeod clutch to power it. “I’m lucky that my guys in the shop really want to see this project through … they all have a hand in rebuilding this old girl,” Jones adds. 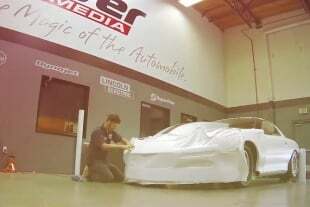 Current progress as the RJ Race Cars staff fabricates a modern Pro Stock-style chassis under the first-gen Camaro. 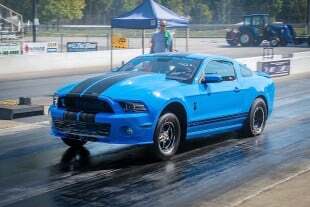 Once he gets re-acclimated — he says driving is a lot like riding a bike — he’ll put a larger-cube engine from Elite Motorsports in between the fenders to ramp up the enjoyment level of his pride and joy. Even as it stands, he expects it to be a high seven-second runner. The Joneses hope to wrap up the project later this summer or early autumn to get it on-track by season’s end. When that time comes we’ll have a complete overview of the car and all that went into it’s revitalization, so stay tuned. Andrew has been involved in motorsports from a very young age. Over the years, he has photographed several major auto racing events, sports, news journalism, portraiture, and everything in between. 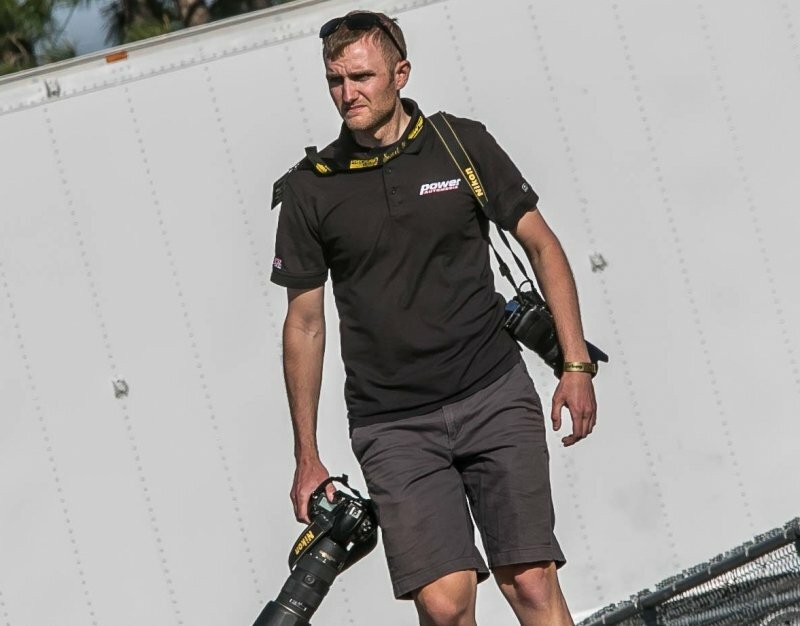 After working with the Power Automedia staff for some time on a freelance basis, Andrew joined the team in 2010. Drag Racing in your Inbox. Build your own custom newsletter with the content you love from Dragzine, directly to your inbox, absolutely FREE! 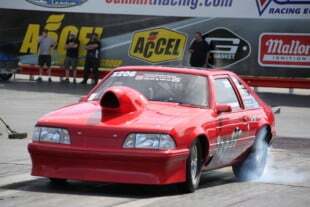 Dragzine NEWSLETTER - SIGN UP FREE!